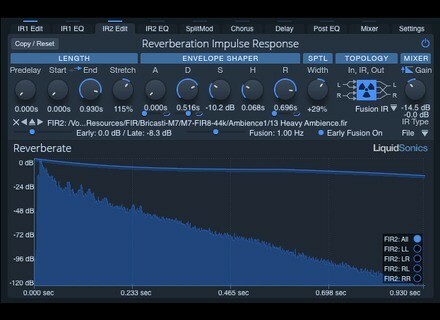 Reverberate 2, Software convolution reverb from LiquidSonics. We gave Reverberate 2 our 2016 Innovation Award, so they gave back by offering Audiofanzine readers an exclusive 20% discount until March 4th. Whether you're an avid convolution reverb user, or are new to the convolution world, you can now try out Reverberate 2, a fully-featured convolution reverb, at a 20% discount. Starting today and lasting until Friday, March 4th, Reverberate 2 will be available to Audiofanzine readers for £65 (approx $93) instead of £80 (approx $115). If you haven't yet read Nantho's detailed Reverberate 2 review, you can read it here. To take advantage of this exclusive offer, go to www.liquidsonics.com before March 4th. Waves updates Tracks Live Waves have updated their Tracks Live multitrack recorder. 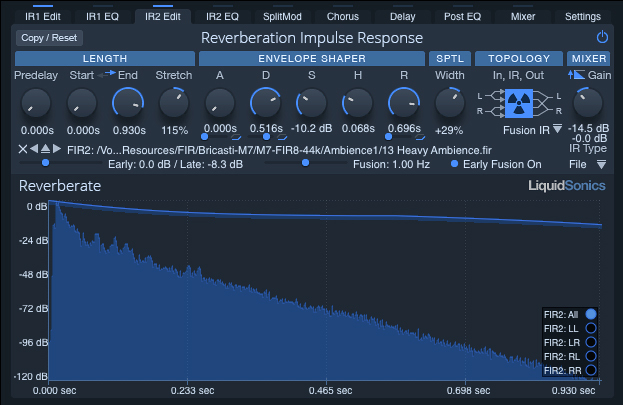 A review of LiquidSonics Reverberate 2 There are two clearly distinguishable schools in the software reverb world: algorithmic and convolution. A review of the UAD Marshall JMP 2203 Plug-In Universal Audio has an ongoing partnership with the software whizzes at Softube to develop plug-ins for its UAD platform. This collaboration has resulted in many different plug-ins, including models of several Marshall guitar amps. The latest is the Marshall JMP 2203 Plug-In, which was released recently along with UAD 8.5 software. We took it for a test drive.